websites | NaturalReview|Natural Hair. Natural Living. 1. When did you start your business and why? It really all began with my skin in 2007. I’ve always suffered from eczema and severely dry skin which needed steroid creams to remain under control. After numerous expensive visits to the dermatologist, I finally visited a holistic doctor who suggested I try some natural soaps and oils on my skin. I immediately went to the herb shop and realized there was a world of natural oils and plant products that were very beneficial to the skin. I started using the natural products on my skin and they worked miracles. My skin was no longer dry, itchy, and irritated all of the time once I started using natural products. 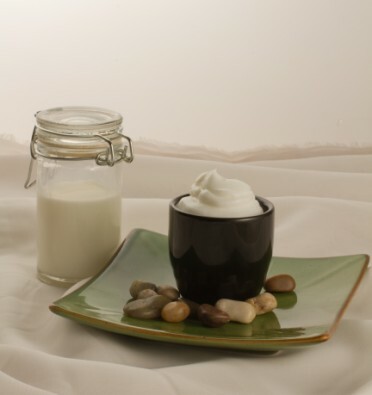 Fast forward to 2008 I realized I had a complete “lab” of oils and butters because once I starting researching ingredients I would buy various ingredients to make my special concoctions. The hair care products were birthed around that time when I decided to actually keep my hair curly instead of straightening with ceramic irons so much. I realized my curly hair was a lot different from my hair that was straightened with ceramic irons. My curly hair seemed to be dry, hard, and wouldn’t retain moisture. To make matters worse, my stylist was no longer working at the salon after having her baby. At that point I realized I didn’t know how to care for my own hair. I went through the product junkie phase which only resulted in me wearing wigs or braids a lot because my hair was a mess even with the commercial products. Nothing ever gave me results for more than 2-3 days. One day I just happen to take a class on how to make natural butters and lotions for the skin because I still have all of these ingredients that I have to do something with. After taking the class I discovered the link between skin and hair; what makes my skin soft would more than likely make my hair soft because of the triglyceride levels in oils. I would experiment with my ingredients at home, but by this time I was very intrigued by handmade hair care products from many small companies. I ordered from many of the small natural hair care companies and often enjoyed the results with the exception of none I tried would provide my hair with enough moisture. I decided to take an assessment of my hair because I knew I wanted to use natural ingredients, I just needed to figure out what worked for my hair. I started taking notes on what my hair didn’t respond well to; mainly studying the ingredients in the products. Once I realized the ingredients my hair didn’t like I started researching ingredients to find something my hair might like. After a year of experimenting I finally found Amazonian butter and oils and started mixing them into my concoctions. To my surprise they worked better than anything I’d tried in the past. At that point I had body and hair products; at the same time I learned to hand craft mineral make-up as well. For there the concept of the company was birthed. We specialize in hand crafting hair and body products using the best oils and butters the Amazon and tropical locations have to offer. 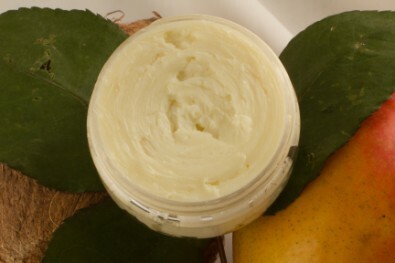 We create our products with Cupuacu Butter, Murumuru Butter, Brazil Nut Oil, Sapote Oil, Mango Butter, Macedamia Oil, and other natural goodies. In addition to the hair and body products, we also hand craft loose mineral eye shadows with more makeup to come in the near future. 3.How can people purchase your items? They can purchase all of the goodies HERE. We are in the process of expanding into other regions so if there are any salons or entrepreneurs that are interested in retailing the products they can contact me at info purabodynaturals@gmail.com for more details. 4. What’s unique about your business? The most unique feature about Pura Body Naturals is that we’ve stepped outside of the box to use other ingredients that have great benefits. Many domestic products have the same ingredients which don’t offer a lot of variety for people that desire more options and different results. We take great pride in offering ingredients that are not very common but offer benefits above and beyond what most consumers expect. All of our ingredients are packed with vitamins and minerals that are great for hair and skin with our focus always on using the best natural ingredients to condition, soften, and moisturize hair and skin. 5. Is there anything else you would like to share? Please join us on Facebook for free goodies and discounts I share with my followers. We have a special promotions tab where you can see the latest savings and sign up for our newsletter. Follow us on Twitter as well to stay on top of our latest happenings. Here, at AuNaturale we celebrate all that is natural and all and any types of natural hair. Especially the big , full natural hair and paying tribute to that every single day. AuNaturale is also about the beauty and confidence that comes with being a natural haired women. When, viewers visit AuNaturale My wish for them is to leave feeling that their visit was worth while, that they’ve gained something while visiting. Be it inspiration from one or two of the many photo’s of natural haired beauty’s featured, a post, a recipe, product review or tips and ideas, whatever it is just feel …..inspired ! Au Naturale is very informative and interesting. It’s become one of the blogs that I visit regularly. She covers so many different topics and offers great recipes. If you liked that Herbal Spritz recipe that was posted on NaturalReview, that came from Zainab1. Visit the site by clicking the link on the sidebar under “Great Sites”. Also, I want to give a special thanks to Zainab1 for being a regular visitor and commenter on this blog. Thank you! !